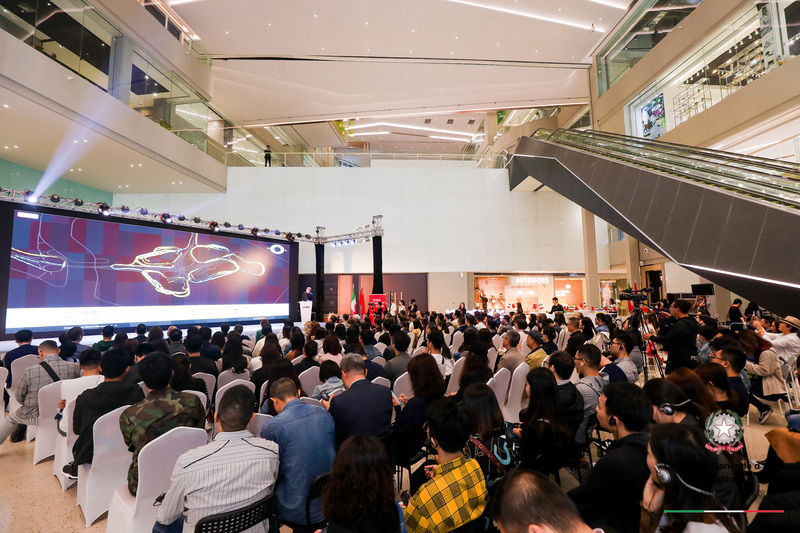 The 3rd Italian Design Day Shenzhen was held yesterday at the International Art Design Center in Bao’an District. This year’s theme is “Design and the city of the future,” and over 100 Italian design ambassadors, including architects, designers, scholars, critics and entrepreneurs, will be invited to participate in various activities such as forums, exhibitions and meetings. Lucia Pasqualini, consul general of Italy in Guangzhou, delivered a speech. She said that the reason to choose Shenzhen as one of the host cities for this event is not only because Shenzhen has been recognized as a city of design but also because Shenzhen is a city of the future. “Italian Design Day is made to promote and spread Italian designs, to make the public have a better understanding of Italian designs, and to sense the spirit behind each design,” said Pasqualini. One of the highlights of the event was the speech by Professor Carlo Ratti, an Italian design ambassador and director of MIT Senseable City Lab, who shared his ideas on the topic of design and the city of the future. Ratti revealed the influence of technology on people’s lives and introduced the concept coined, “senseable city.” He believes a good design should go along with a city’s development and suggested that design, in turn, has the power to change our lifestyles. During a panel discussion joined by three distinguished guests, namely Ratti, Wu Jiahua, an architect and expert at Shenzhen University, and Ni Yang, director of the Shenzhen Interior Committee of the China Architecture Society, the emcee asked for opinions on the senseable city and smart city concepts. Wu confirmed the application of technology in design, but emphasized that design should also take different national conditions into consideration. “It should be our city and my city as well,” said Wu. The event was organized by the Italian Ministry of Foreign Affairs and International Cooperation.